Laserium Beatles: A Laser-Light Celebration! LASERIUM® - THE BEATLES - A Laser Celebration! THE BEATLES! 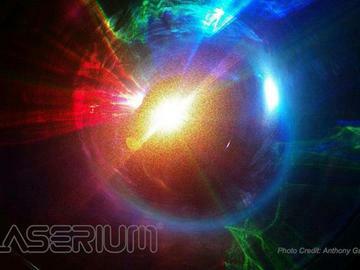 - Experience a magical-mystery-tour with LASERIUM and the added dimensions of brilliant pure laser-light creating amazing visual effects and impossible illusions! Take a trip through the sounds of the fab four, and treat your eyes to the future of laser entertainment by LASERIUM. Laserium is performed live so every experience is unique. LASERIUM STUDIOS are available for Your Private Events WITH LASERS! Visit Laserium website for more info, call us today. LASERIUM is Music For Your Eyes. NO LATE SEATING - Arrive early, be seated before start time.